and “STM” is “StrangeTown – Monty”. S2P: The feuding families in Veronaville can’t possibly play together in the same team, so the different clans decided to join with the other neighborhoods. AH: But we have a twist — Kent Capp chose to change sides, so he plays for Team STM instead. AH: And the Summerdreams chose to join the Capps? The Match Officials are from Hyde Dynamic. They are usually associated with Car Racing and Science, but they are here for Football today. 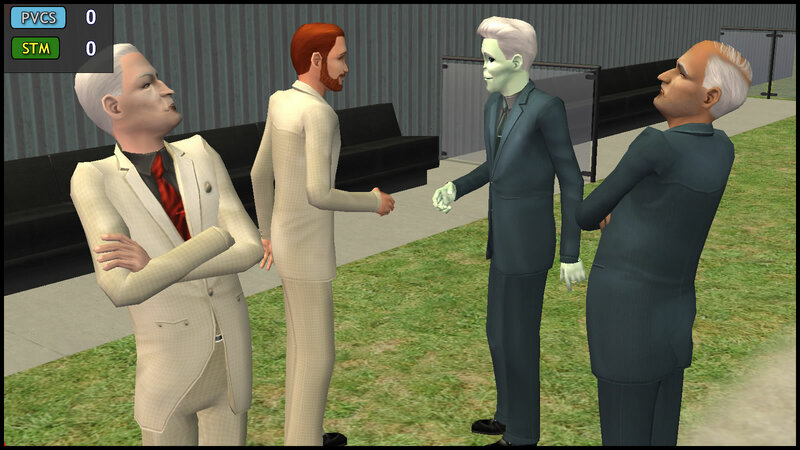 The four managers, Consort Capp, Daniel Pleasant, Patrizio Monty and PT9 (Pollination Technician #9 Smith) have to shake hands before the match. Daniel: (to PT9 & Patrizio) Good luck for the match. Consort shakes hands with PT9 but deliberately ignores Patrizio. Consort: That fat cow doesn’t deserve to win! He cheats, I know it! (Daniel thinks of Kaylynn, but says nothing to Consort) Hey, you listening? 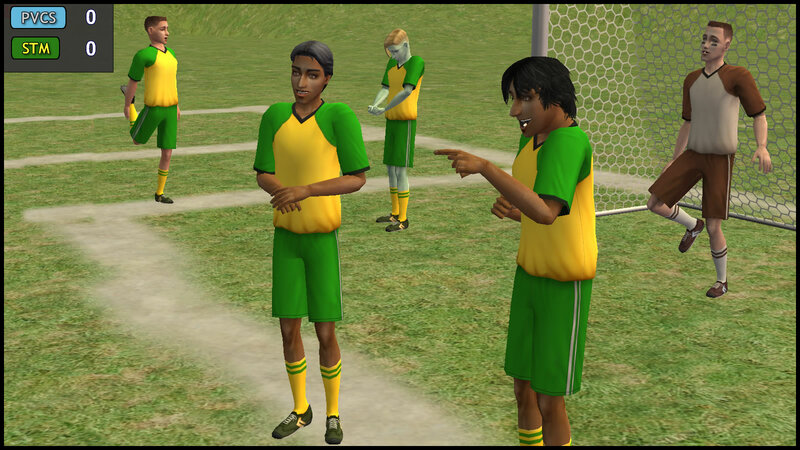 The Monty teen brothers, Romeo & Mercutio, have a quick chat on the pitch. Mercutio: C’mon man, we can win this, those are Capps! The only thing they can do with a ball is to put it on the market and try to make some money from it. Romeo: Mercutio, please let me finish… Tybalt is a good attacker, we should watch out for him, he could outpace us and then we are doomed! It would be nice to see Antonio play, and it’s great to see Patrizio participate. Both could do with some weight loss. I’m not sure if Buck Grunt would ever want to participate on his own steam. A sensitive, thoughtful, and studious guy, but I don’t recall ever hearing the term “athletic” when he’s around. When he ages up to teen, canonical Buck Grunt is less likely to participate than STM Buck. If his fitness level is similar to Antonio, then Buck would also be on the subs bench. We have fielded many “sensitive, thoughtful, and studious guys” as starters. – Vidcund is less shy, and more confident. – Darren Dreamer is less fit and formidable in goal than Gen Grunt, but has a decent-to-good performance as the PVCS keeper. If we had 5 subs instead, it’s very likely that Albany would be in. On the STM side, perhaps Erin or Kristen would have been on the bench too. How would your Starting XI look like? 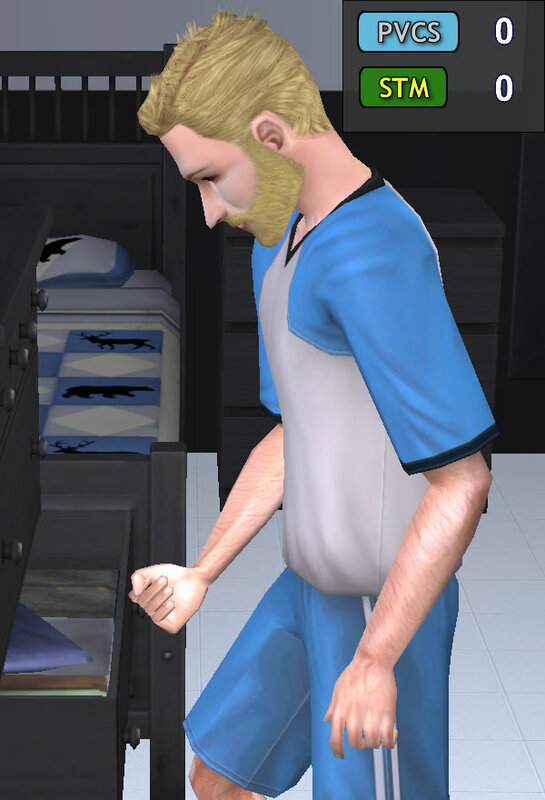 Usually when I predict how good a Sim is at a physical or sports activity, the first thing I look at is how many body points the Sim in question has. In case of a tie, I generally predict which Sim is the better player based on how active they are. 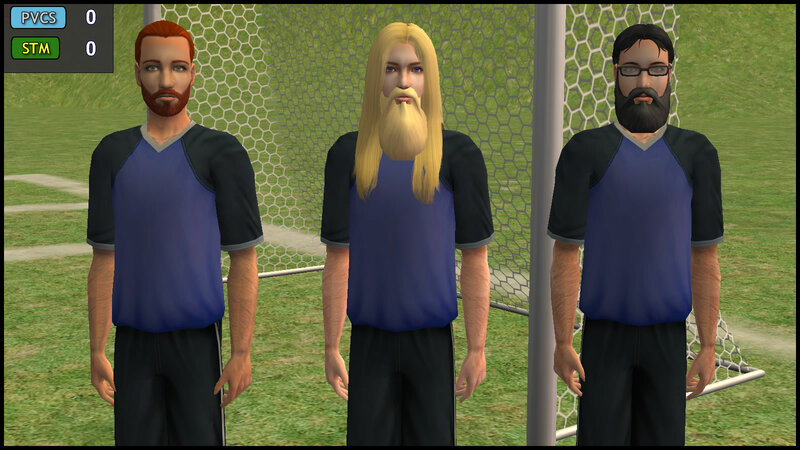 In case of another tie, I generally predict which Sim is the better player based on how fit they are. 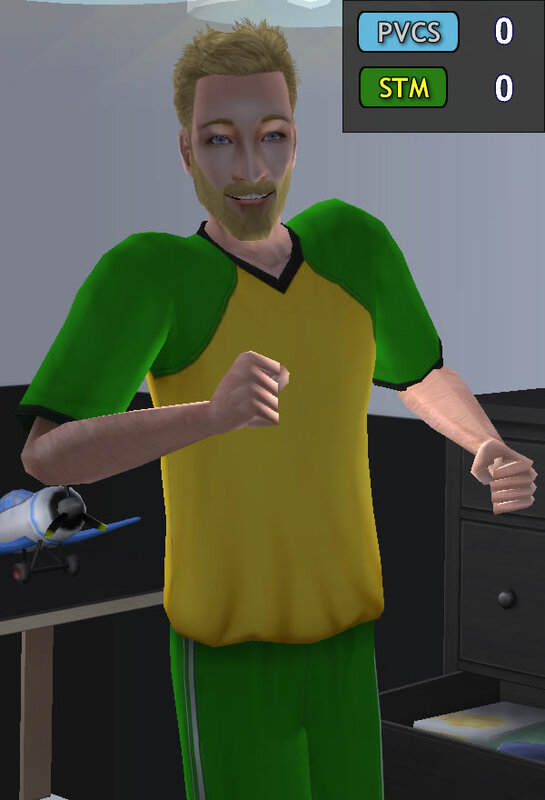 If there are still two Sims with equal body points, equal active points, and equal fitness, then I randomly select one of them etc. No, I guess STM Kent doesn’t slouch. 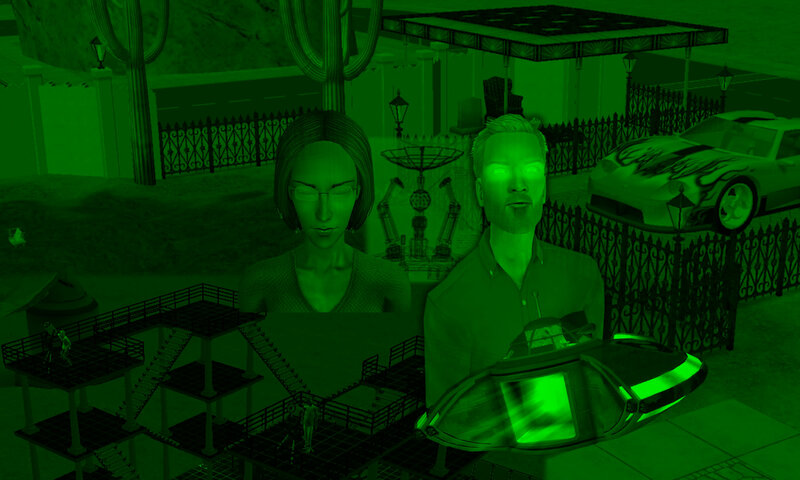 Of course, by default Sims will only slouch if they have 3 or less active points. So then STM Kent wouldn’t slouch if his active score is in the mid range. I’m not actually sure what my starting XI would look like. That’s something for me to think about. Nina Caliente, Tybalt Capp, Nervous Subject, Kaylynn Langerak, Circe Beaker, Daniel Pleasant, Johnny Smith, Jennifer Burb, Tank Grunt, General Buzz Grunt, Kristen Loste. There’s quite a few Sims that would make excellent team members, but I’ve put together 11 Sims, most of which have at least a few body points, or are fairly active. I’m not yet sure exactly what positions each of them will play, but here’s an example. Quite a balanced gender ratio though. Have you thought of their positions yet? I actually hadn’t noticed the balanced gender ratio. Unfortunately I have not yet thought of their positions, but I will do when I find the time.